Pre-engineered and pre-programmed 920i FlexWeigh Systems are Rice Lake’s answer to many of manufacturing’s most commonly used weighing processes. Combining the power and versatility of the 920i interface combined with the simplicity and strength of the FlexWeigh control panel. Each device is a standard design in its own right, factory tested and built for the job at hand, yet customizable. 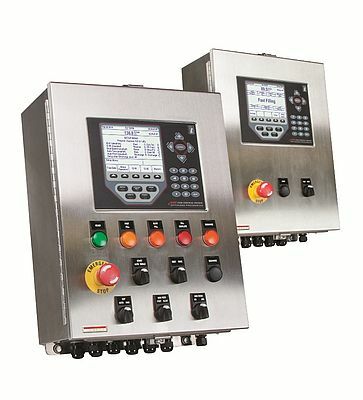 Stainless steel NEMA-4X enclosures and rugged, customizable operation switches guarantee industrial-strength dependability, day after day, year after year. Each 920i system is shipped complete, seamlessly transitioning almost any job from batching, filling, and more, into a fully automated weighing system.